Inground swimming pool designs are what we really excel at – after all, it’s right in our company name. The reason Poolside Designs is so successful at creating great inground swimming pools is partly because we have terrific in-house expertise, and mostly because we listen to what our clients really want. 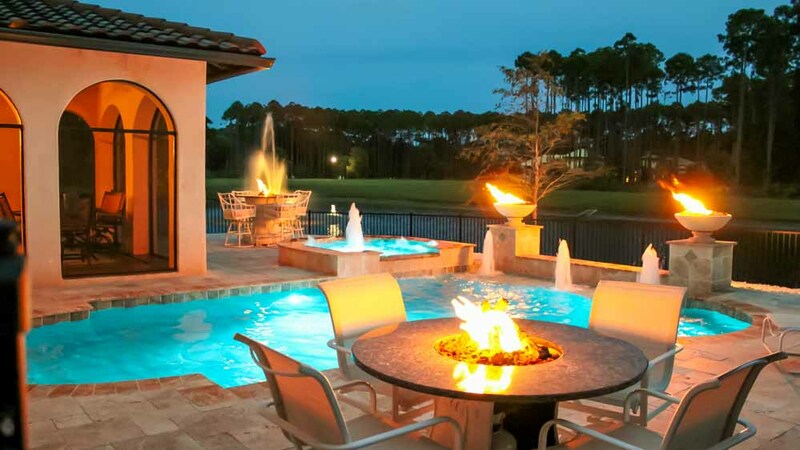 Pool designs should always be a melding of customers’ visions and the experience and know-how of the design specialists. 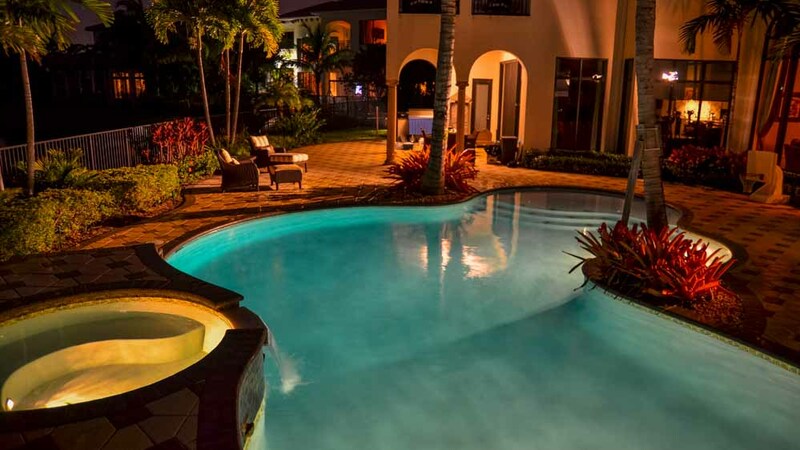 We will be able to point out all the different factors that go into the most successful and most appealing pool designs as we work with you to achieve the inground swimming pool you’ve always dreamed of. The first thing to consider is the shape of your pool, which should be determined by what appeals to you and by the available space in your backyard. As you’re considering the shape of your pool, it will be necessary to also consider the kind of accessories and surroundings you want to include in your outdoor setup. The shape of your pool should take into account the total environment of your backyard as it will be once the pool is installed, because after installation it will be too late to begin thinking about other components of your poolside design. We have many styles for you to choose from, such as the traditional Grecian or Roman, oval style, the L-shaped pool, the figure-8, and the kidney-shaped pool. If none of these appeals to you, or if the other poolside components dictate this, we can completely customize the shape of your pool to match your requirements. Next you should decide what kind of technology you want installed to keep the pool running. A salt chlorine generator can create all the chlorine your pool will need to keep it fresh and clean, and it will eliminate the need for constant application of chlorine to kill bacteria. You may want a heater installed so that you can manage the temperature of the water during all seasons of the year, and at all times of day. 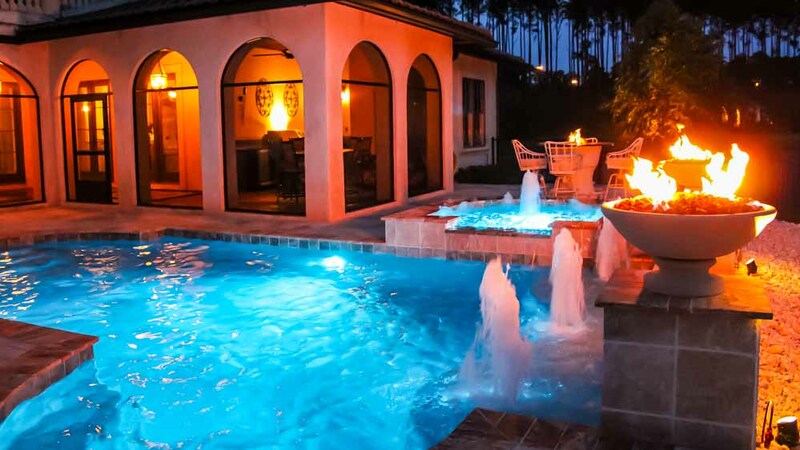 This is especially useful if you plan to host parties poolside, and wish to have precise control of the water temperature for the comfort of your guests. Whatever kind of automation you choose to install, you may want to consider using the most energy-efficient version of that equipment so as to make operational costs more affordable. This is an area where you can really let your ideas run wild, bounded only by perhaps your budget and the limitations of your imagination. 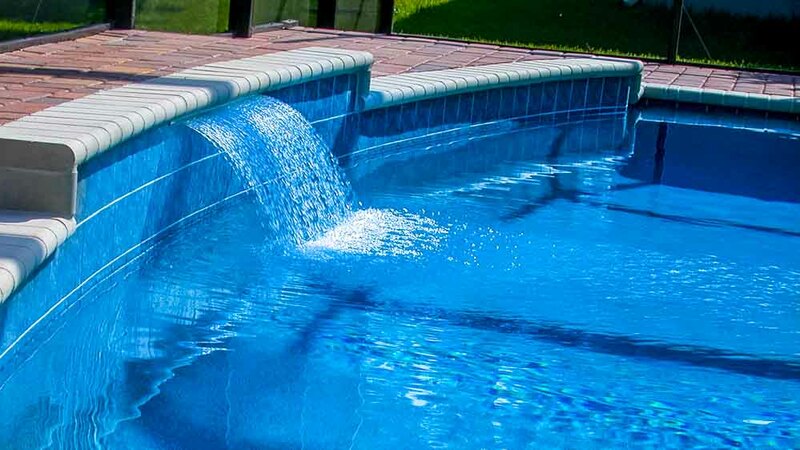 Some additional water-based enhancements that may provide a beautiful complement to your pool design are waterfalls, fountain bubblers, poolside water jets, a water slide, a diving board, or an attached spa or hot tub. Colored lights add a touch of elegance and luxury, and make a wonderful impression for evening entertaining. 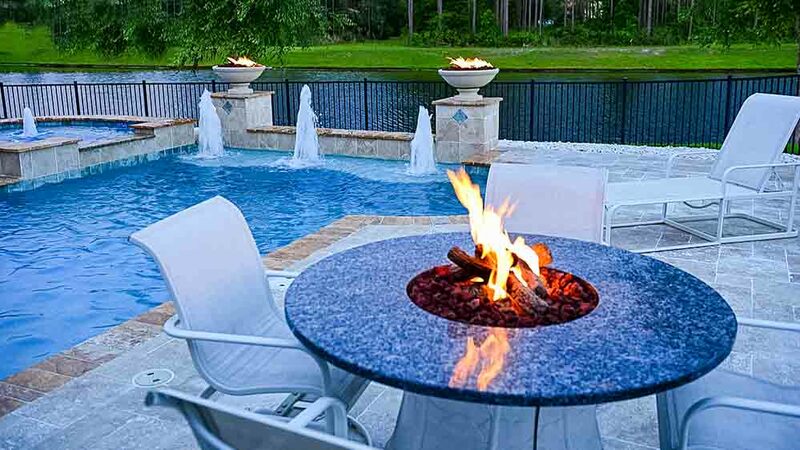 A fire pit or a fireplace included in the poolside setup can act as wonderful gathering places for socializing and enjoying good company. An outdoor kitchen can create a whole additional living space at your house which adds functionality and visual appeal. Lastly, you should consider how you want your deck to be setup, and whether it should be made of poured concrete, decorative concrete, stone or brick, or some deck paver arrangement. 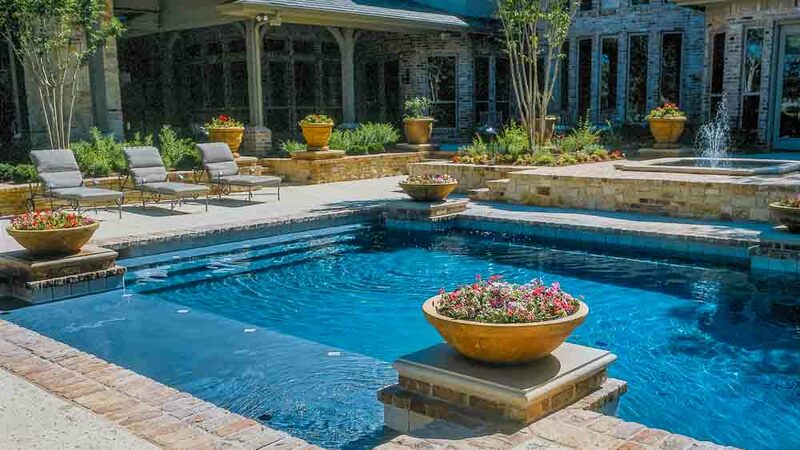 Pool designs do involve considering the totality of your backyard environment and how you want your poolside setup to be implemented, but with some planning and foresight, the end result can be your dream come true, and something you will love for years to come.